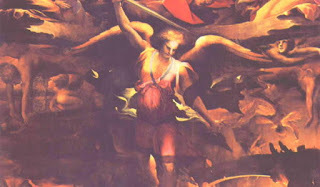 As we do battle and fight in the contest of faith, God, his angels and Christ himself watch us! How exalted is the glory, how great the joy of engaging in a contest with God presiding, of receiving a crown with Christ as judge. Dear brethren, let us arm ourselves with all our might, let us prepare ourselves for the struggle by innocence of heart, integrity of faith, dedication to virtue. Put round you the belt of truth; put on the breastplate of righteousness; for shoes wear zeal for the Gospel of peace; take up the shield of faith to extinguish all the burning arrows of the evil one; take the helmet of salvation, and the sword of the spirit, which is the word of God. Let us take this armor and defend ourselves with these spiritual defenses from heaven, so that we may be able to resist the threats of the devil, and fight back on the evil day. Let us put on the breastplate of righteousness so that our hearts may be safeguarded, proof against the arrows of the enemy. Let our feet be protected by the shoes of the teaching of the Gospel so that when we begin to trample on the serpent and crush it, we may not be bitten and tripped up by it. Let us wear on our head the helmet of the spirit to defend our ears against the proclamations of death, our eyes against the sight of accursed idols, our forehead so that God’s sign may be kept intact, our lips so that our tongue may proclaim victoriously its faith in Christ its Lord. 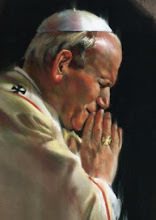 Let us arm our right hand with the sword of the spirit so that it may courageously refuse the daily sacrifices (1), and like the hand – mindful of the Eucharist – that receives the body of the Lord, stretch out to embrace him, and so gain from the Lord the future prize of a heavenly crown. Dear brethren, have all this firmly fixed in your hearts. If the day of persecution finds us thinking on these things and meditating upon them, the soldier of Christ, trained by Christ’s commands and instructions, does not begin to panic at the thought of battle, but is ready for the crown of victory. *From a Letter from Saint Cyprian (born around 200 AD and died 258 AD), Bishop and Martyr, Second Reading, Liturgy of the Hours, April 11, Memorial of Saint Stanislaus, Bishop and Martyr. (1) Here Saint Cyprian means sacrifices to idols. Art: Partial restoration of The Fall of the Rebel Angels, Domenico Beccafumi, from 1526 until 1530, PD-Worldwide author’s life plus 100 years or less, Wikimedia Commons.